Check here for updates or further details. 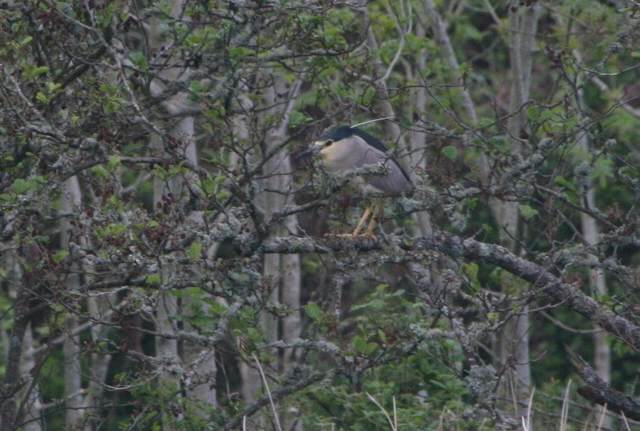 Nr BUNMAHON: NIGHT HERON & Grasshopper Warbler at Seafield. 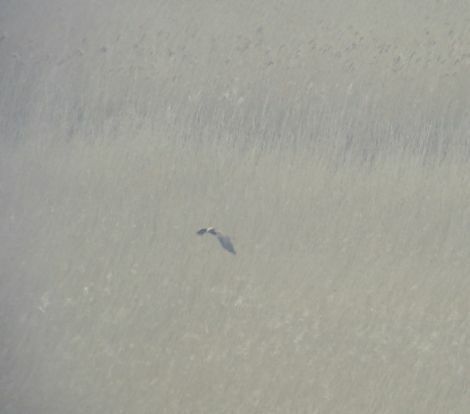 CLASHMORE BROADS: Female-type MARSH HARRIER. 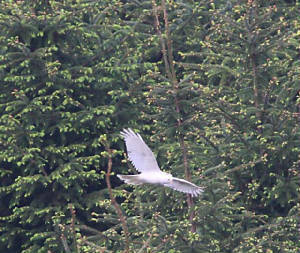 KNOCKMEALDOWN MOUNTAINS: 2 male Hen Harriers (1 albinistic). 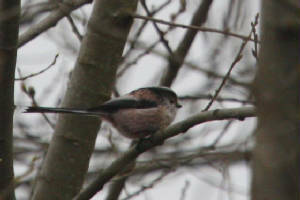 RUSSELLSTOWN WOOD (SW of Clonmel): 5 Crossbills & 4 Jays. 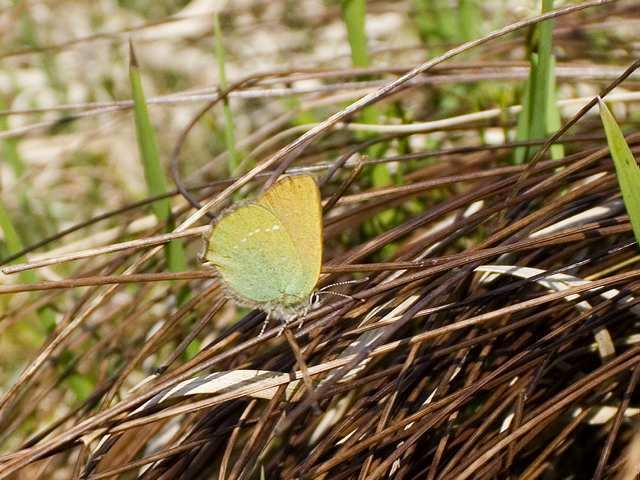 COMERAGH/MONAVULLAGH MOUNTAINS: Pair of Hen Harriers & 20+ Green Hairstreak butterflies. 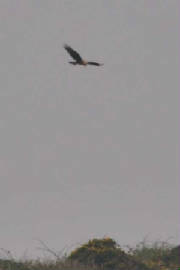 Nr DRUM HILLS: 2 male Hen Harriers. 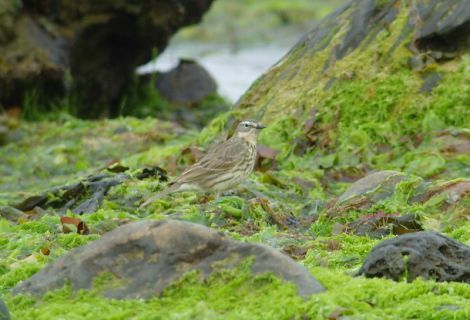 CLONEA STRAND: SCANDINAVIAN ROCK PIPIT at Ballinclamper. 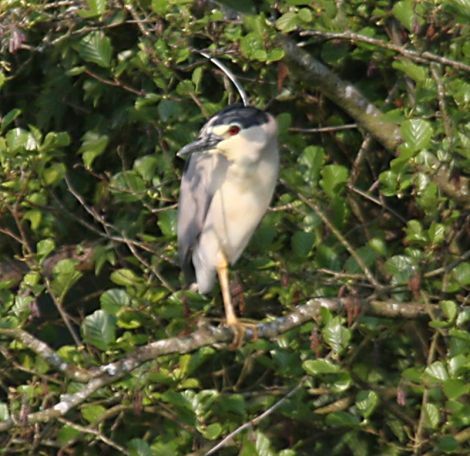 Nr BUNMAHON: Adult NIGHT HERON (2nd county record) at Seafield. DALLIGAN RIVER: Dipper nr Shanbally. 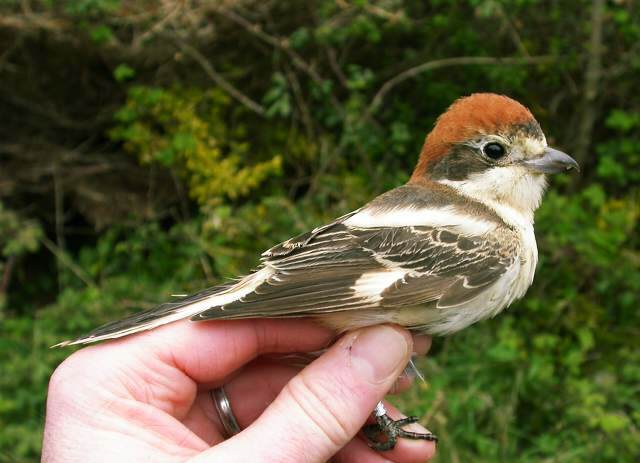 WATERFORD CITY: Swift nr Whitfield Clinic. 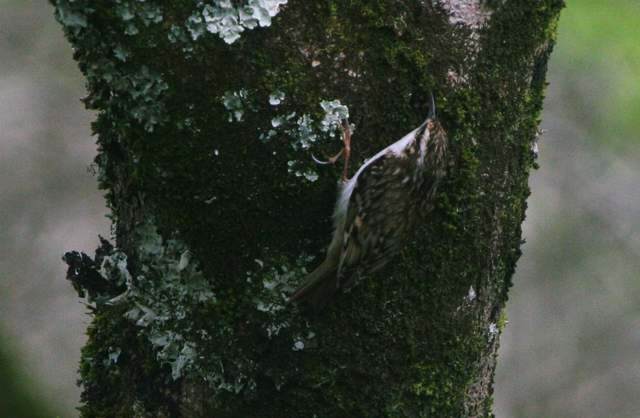 KNOCKMEALDOWN MOUNTAINS: Cuckoo calling & Grasshopper Warbler along Melleray road. 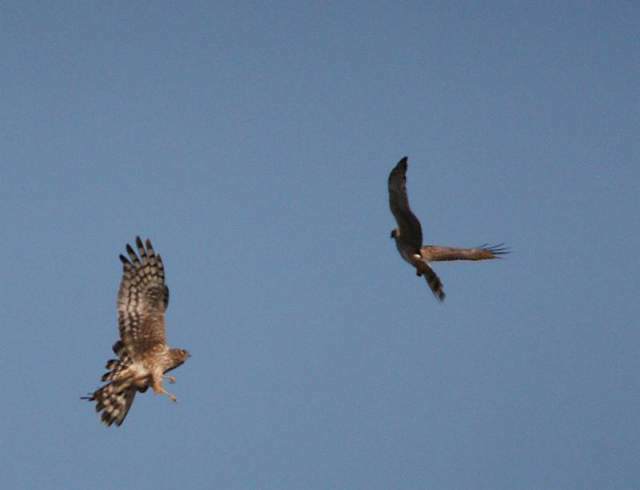 COMERAGH MOUNTAINS: Pair of Hen Harriers, also 2 Jays. 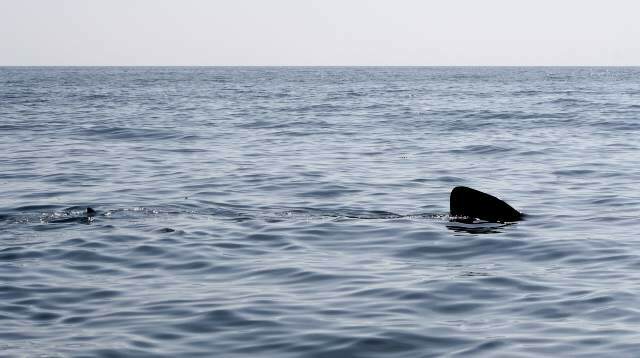 Off MINE HEAD: Basking Shark. 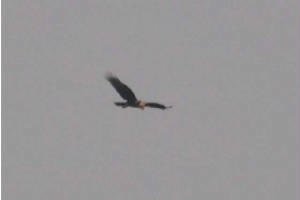 ANNESTOWN BOG: Female MARSH HARRIER - the 5th sighting in county this spring. COMERAGH MOUNTAINS: Cuckoo calling in Glenary valley. 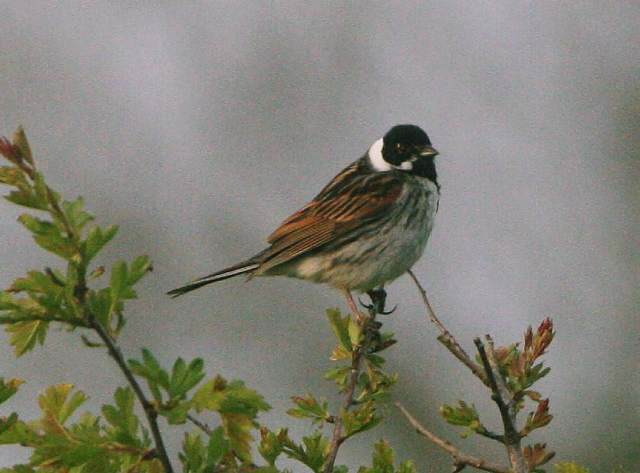 KNOCKNAGOUR (nr Lismore): Several Grasshopper Warblers singing. 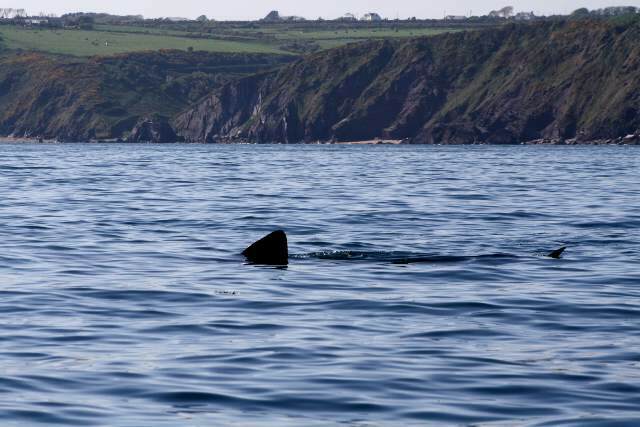 CLONEA STRAND: 2 Basking Sharks off Ballyvoyle Cove. MONAMINTRA BOG: Water Rail calling & Snipe drumming. CASTLETOWN FEN: Grasshopper Warbler singing. BROWNSTOWN HEAD: 3 Great Northern Divers on sea, a Puffin flew east, 2 Tree Sparrows & a Grasshopper Warbler. 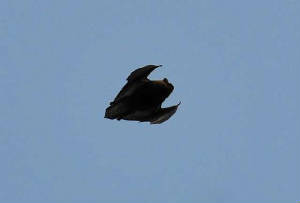 CLONMEL (Co Tipperary): 3+ Swifts. 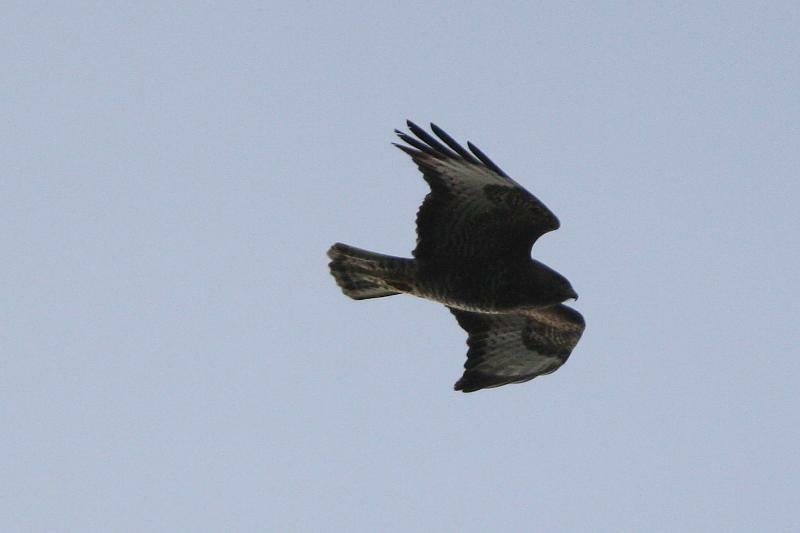 KNOCKMEALDOWN MOUNTAINS: Female./immature Hen Harrier. 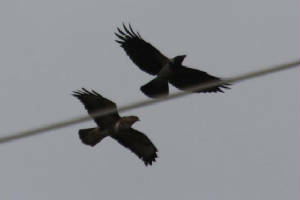 WEST WATERFORD: 3 Buzzards (2 locations). 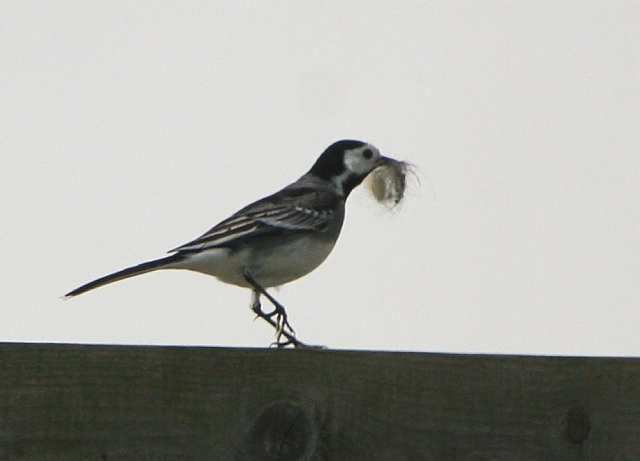 BLACKWATER VALLEY: 6 singing Reed Warblers,at Camphire. DUNGARVAN: 2 Grasshopper Warblers at Brickey canal. 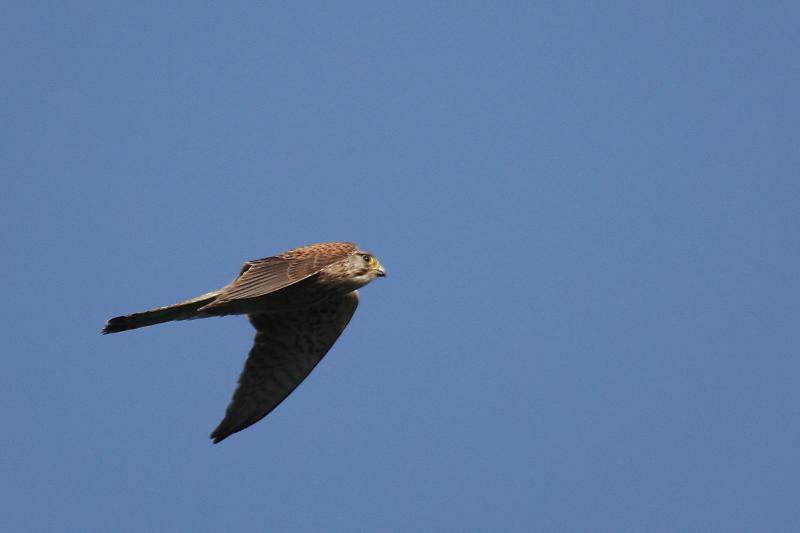 BROWNSTOWN HEAD: An adult summer Black-throatd Diver flew east; also Grasshopper Warbler & Hummingbird Hawk-moth. 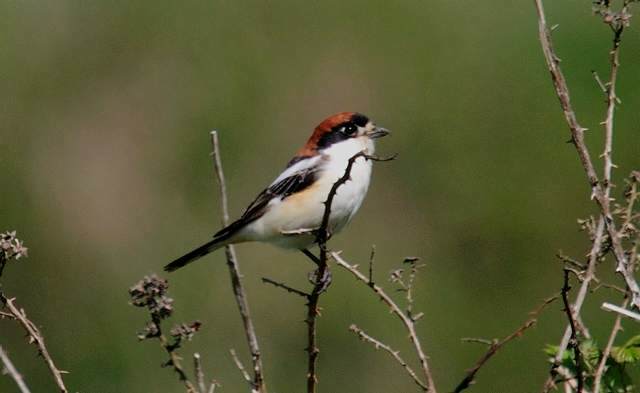 HELVICK HEAD: 1st-summer WOODCHAT SHRIKE still present. 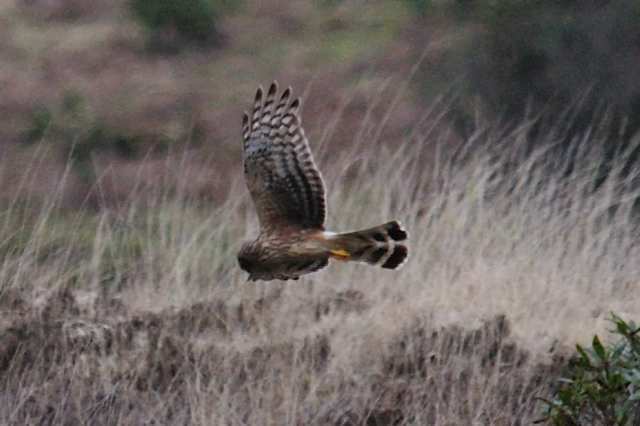 Nr DUNGARVAN: Female Hen Harrier. 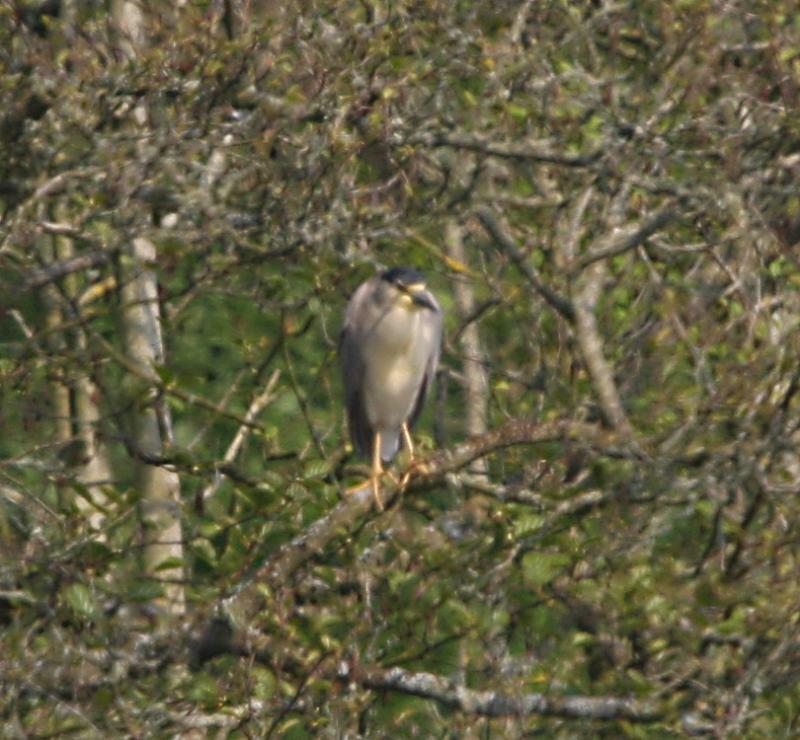 BALLINLOUGH: Singing Reed Warbler, Cuckoo & Water Rail. TRAMORE BACKSTRAND: 3 male Gadwall at Clohernagh, 10 Whimbrel. 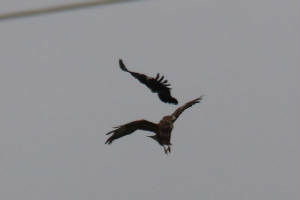 WEST WATERFORD: 2 pairs of Buzzards. 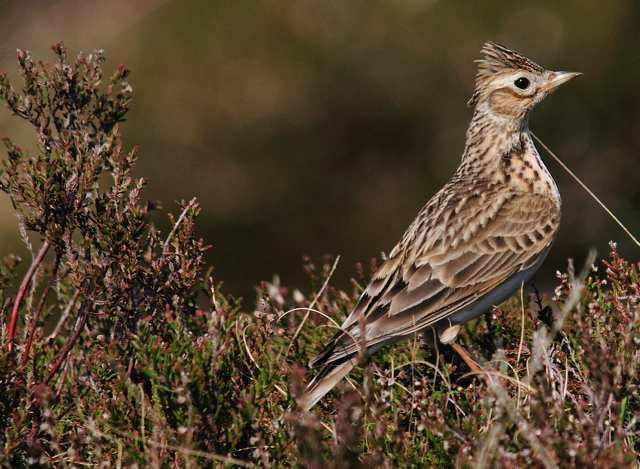 KNOCKMEALDOWN MOUNTAINS: 4 Grasshopper Warblers & a Cuckoo. 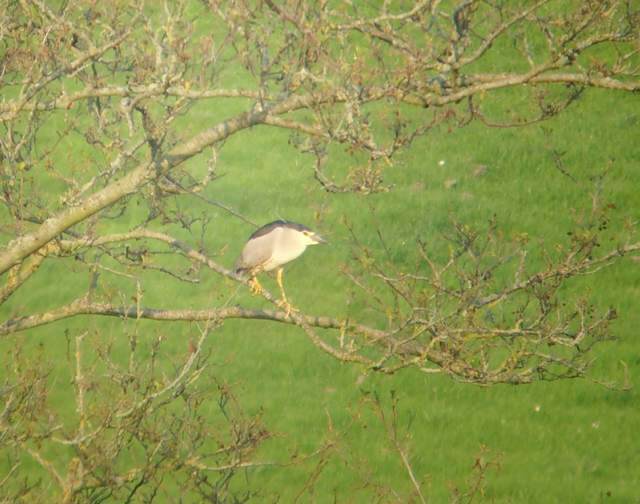 Nr CLONMEL: Jay at Glenabbey/Russellstown wood. BALLYMACART: 2 Grasshopper Warblers & a Whitethroat. BALLINARID (west of Bunmahon): Grasshopper Warbler. BROWNSTOWN HEAD: Spotted Flycatcher (1st of year) & Grasshopper Warbler. 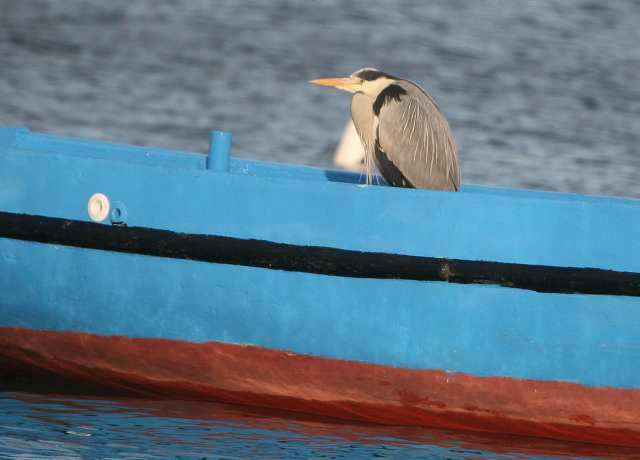 BLACKWATER VALLEY: 1st-summer MARSH HARRIER at Newport Quay; Common Seal at Newport; Reed Warbler singing at Raheen quay, Clashmore. 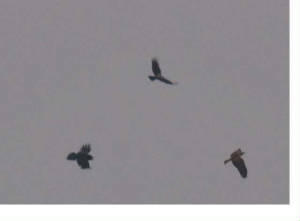 KNOCKMEALDOWN MOUNTAINS: 4 Hen Harriers (male & 3 females). 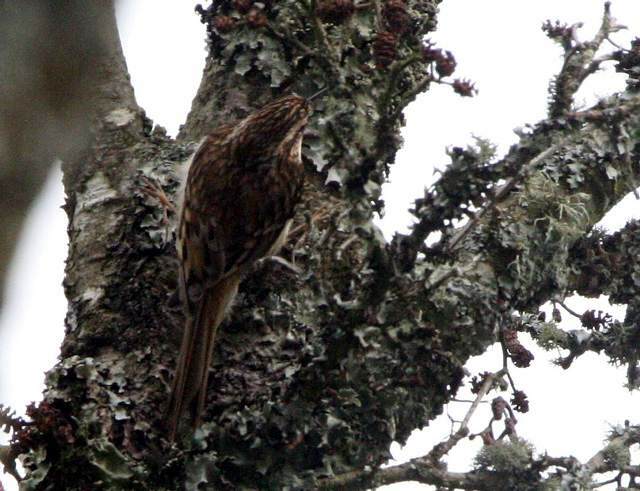 MONAVULLAGH MOUNTAINS: Long-eared Owl & Grasshopper Warbler at Crohaun; Merlin. 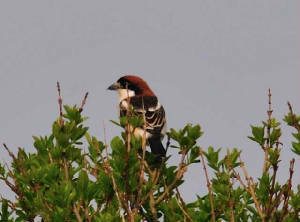 HELVICK HEAD: 1st-summer male WOODCHAT SHRIKE, 3 Whitethroats, 200 Manx Shearwaters, 30 Common Dolphins & a Basking Shark. 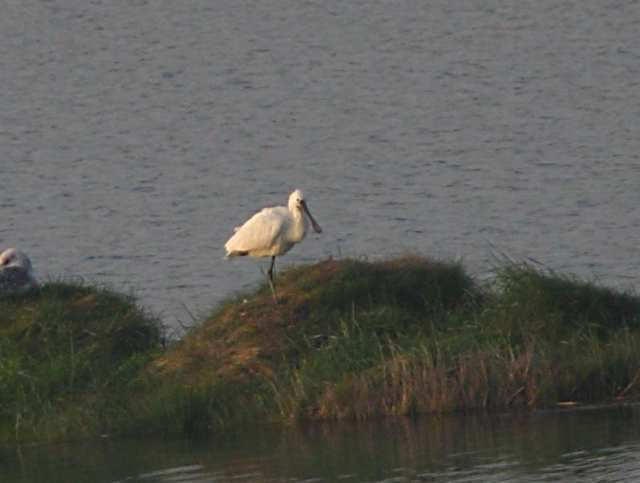 DUNGARVAN: Sub-adult SPOONBILL at Killongford. 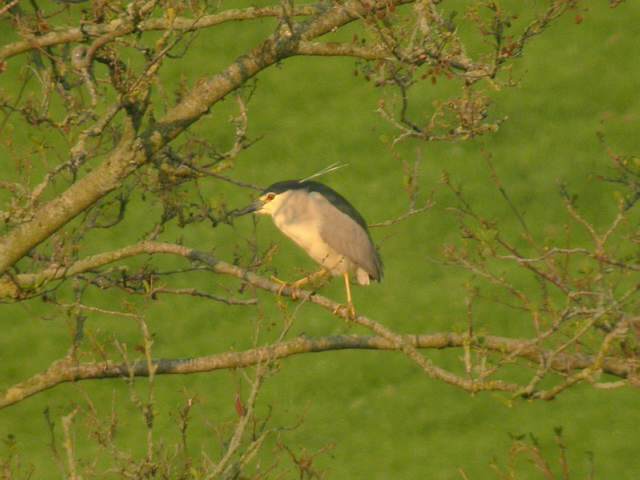 BALLINLOUGH: Cuckoo & Grasshopper Warbler. 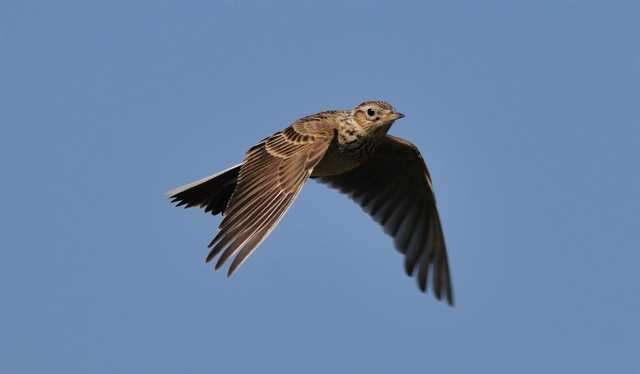 MOUNT CONGREVE / KILLOTERAN: Grasshopper Warbler & 2 Swifts. 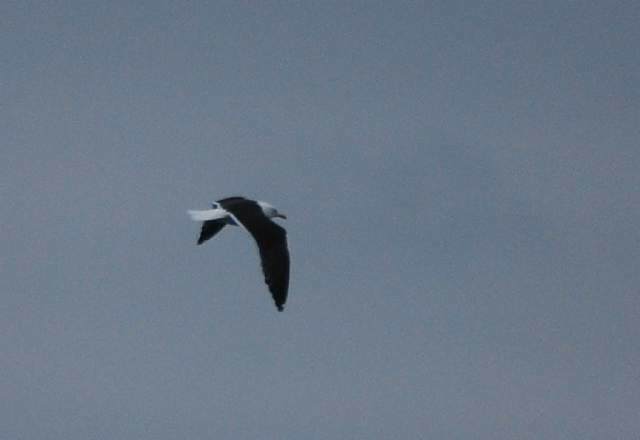 BROWNSTOWN HEAD: 190 Manx Shearwaters west (seawatch 18:20-19:20). BROWNSTOWN HEAD: Pomarine Skua, Arctic Skua, Puffin & 1035 Manx Shearwaters east, Great Skua & 16 Whimbrel west (seawatch 15:30-16:30). 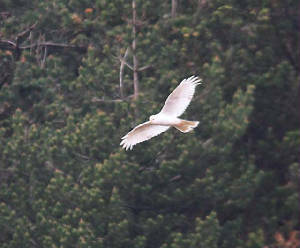 Nr DUNGARVAN: Barn Owl @ 00:30. 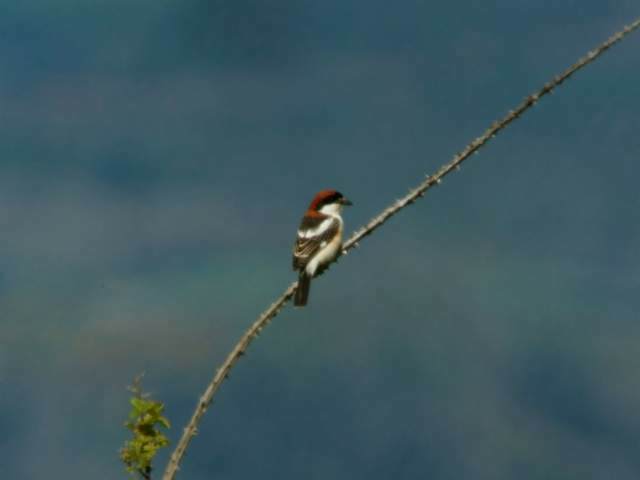 HELVICK HEAD: WOODCHAT SHRIKE, Tree Sparrow & Whitethroat. 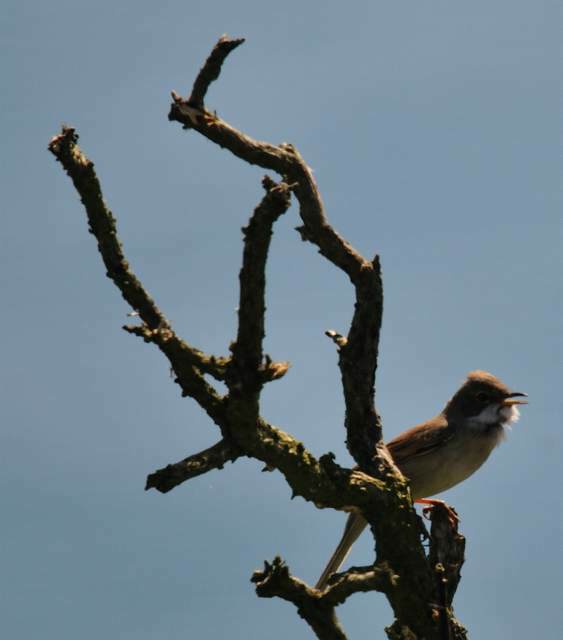 BLACKWATER VALLEY: Reed Warbler (1st of year) & Whitethroat at Raheen quay, Clashmore. North of LISMORE: 10+ Grasshopper Warblers singing. 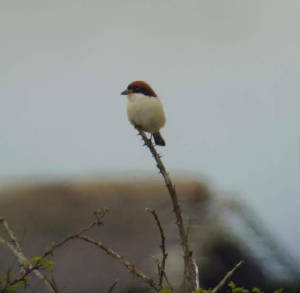 HELVICK HEAD: 1st-summer male WOODCHAT SHRIKE still present. BROWNSTOWN HEAD: 4 Whitethroats & a Grasshopper Warbler. CLONEA STRAND: Dippers nesting at Ballyvoyle Bridge, 23 Red-throated Divers offshore. CARRIGNAGOUR (north of Lismore): Grasshopper Warbler singing. 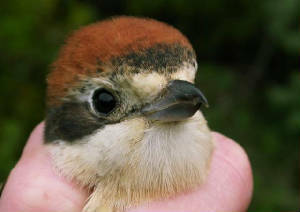 HELVICK HEAD: WOODCHAT SHRIKE, also an unidentified harrier species. 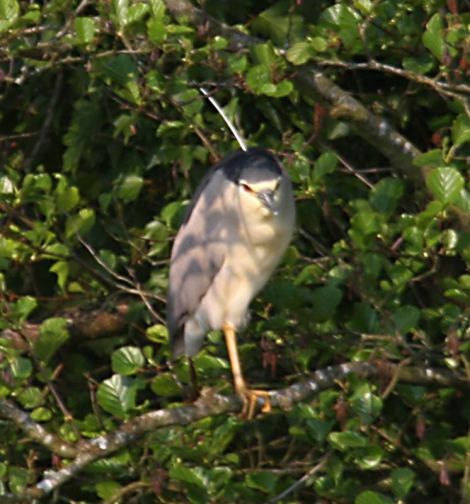 DUNGARVAN: SPOONBILL at Killongford; Kingfisher & 2 Grasshopper Warblers at brickey canal. MONAVULLAGH MOUNTAINS: Green Hairstreak at Coumaraglin. 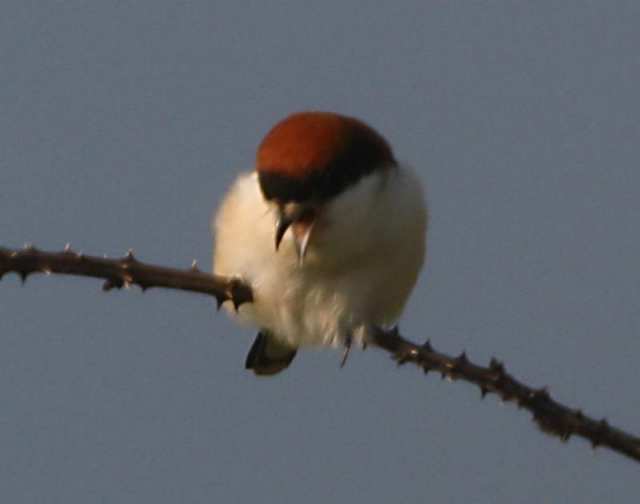 HELVICK HEAD: 1st-summer male WOODCHAT SHRIKE still present; a female MARSH HARRIER flew east. 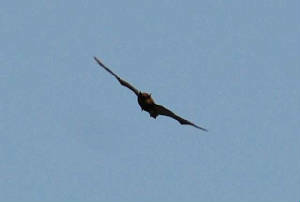 ANNESTOWN BOG: Male MARSH HARRIER. BROWNSTOWN HEAD: Singing Whitethroat (1st of year) & Grasshopper Warbler. MONAVULLAGH MOUNTAINS: 12 Ravens & Green Hairstreak butterfly at Coumaraglin; singing Whitethroat at Bohadoon wood; Hen Harrier. 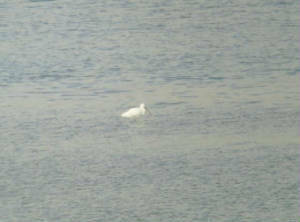 DUNGARVAN: Sub-adult SPOONBILL & 2nd-summer Mediterranean Gull at Killongford; Water Rail at Brickey canal. SEAFIELD (nr Bunmahon): Grasshopper Warbler reeling. ANNESTOWN BOG: 3 Grasshopper Warblers & 3 Sedge Warblers. 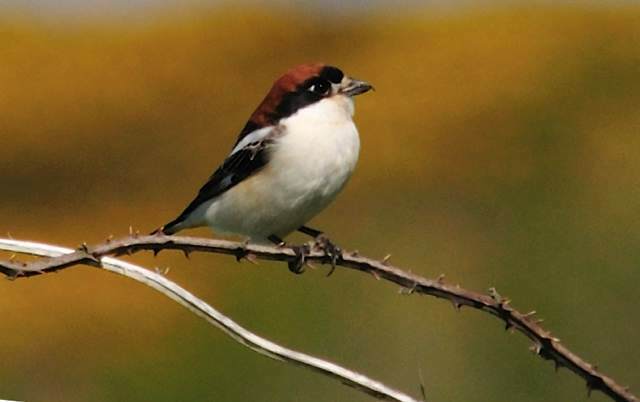 BROWNSTOWN HEAD: WOODCHAT SHRIKE (1st-summer female) still present. 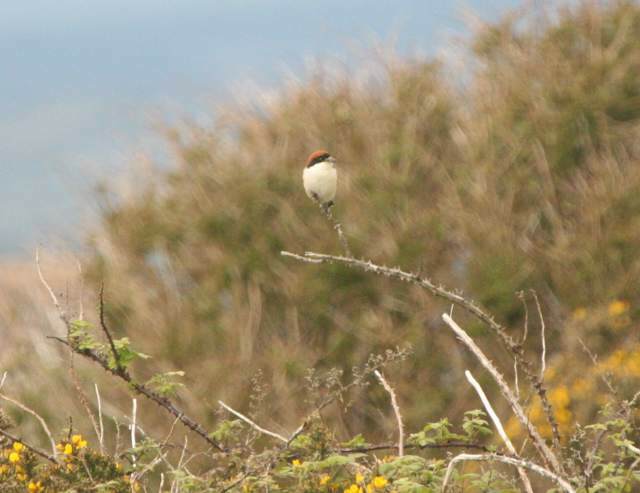 HELVICK HEAD: 1st-summer male WOODCHAT SHRIKE (6th county record), Grasshopper Warbler & Sedge Warbler. 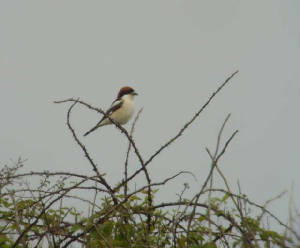 BROWNSTOWN HEAD: Another WOODCHAT SHRIKE, 25 Whimbrels west, 29+ Basking Sharks, Minke Whale & 2 Porpoises. 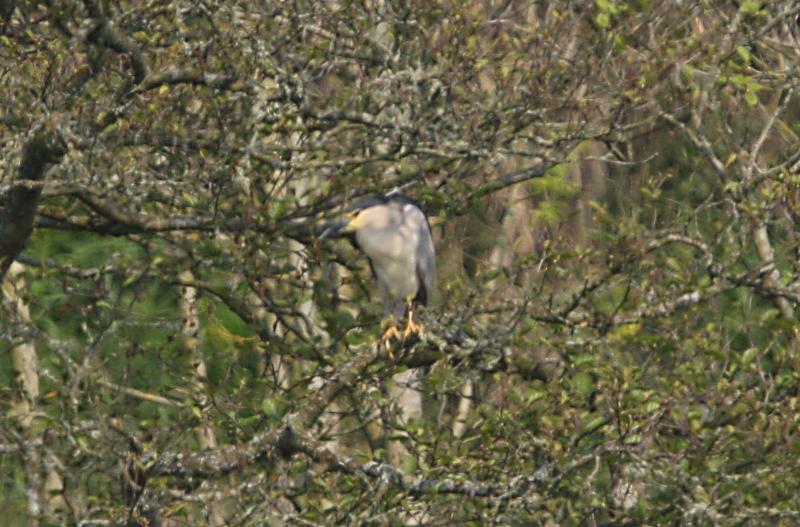 MID WATERFORD: Buzzard at two locations. 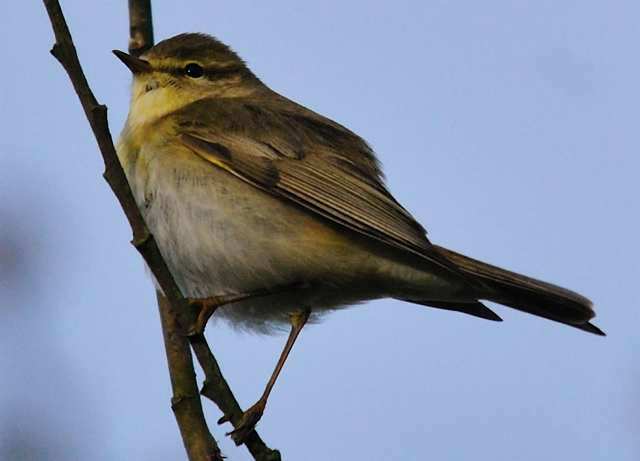 CROUGHAUN HILL (nr Kilmacthomas): 21+ singing Willow Warblers. 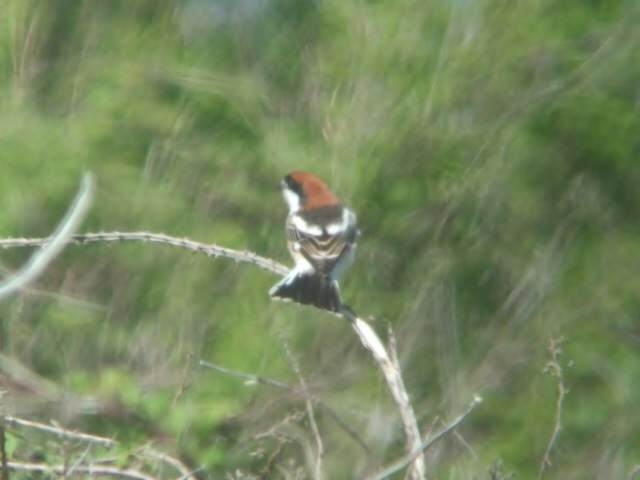 Nr WHITING BAY: Grasshopper Warbler singing (1st of year) & 20+ Tree Sparrows along Goat Island road. RAM HEAD: 5 Great Northern Divers, Minke Whale, 12 Porpoises, 5 Common Dolphins & 3 Basking Sharks. CLONEA STRAND: 150+ Whimbrel & 2 Porpoises at Ballinclamper; Grasshopper Warbler singing at Ballyvoyle. KILMURRIN COVE: Grasshopper Warbler singing. 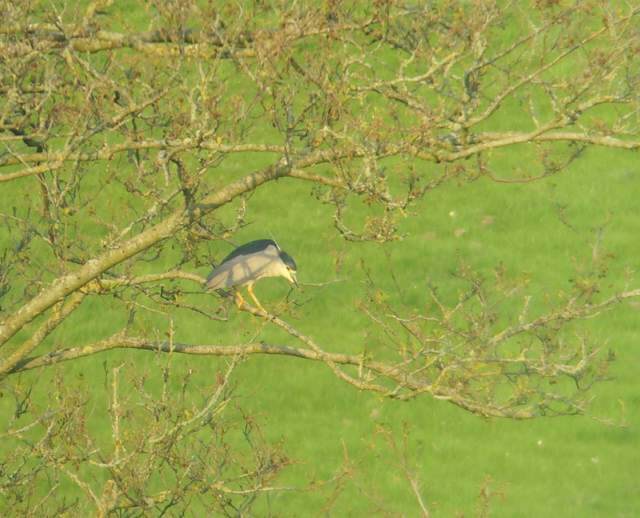 LISMORE to THE VEE: Cuckoo north of Carrignagour (1st of year). 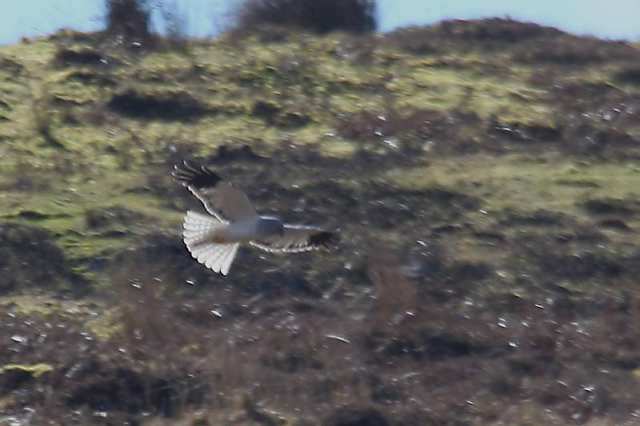 KNOCKMEALDOWN MOUNTAINS: Female Hen Harrier. BROWNSTOWN HEAD: Striped Hawk-moth light-trapped tonight. 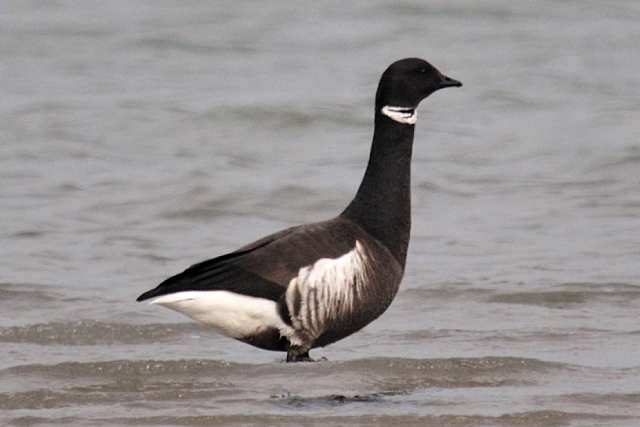 CLONEA STRAND: Adult Dark-bellied Brent Goose at Ballinard. 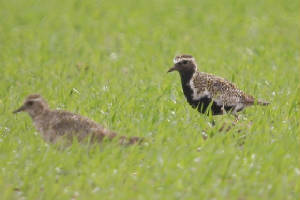 MONAVULLAGH MOUNTAINS: Male Hen Harrier & 5 Wheatears. Nr BALLYMACARBRY: Painted Lady butterfly at Curraghateskin. 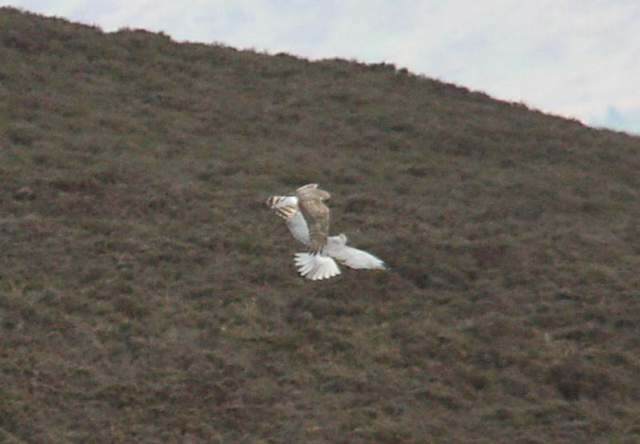 MONAVULLAGH MOUNTAINS: Female Hen Harrier & 10 Wheatears. Nr TIBBERAGHNY BOG: Adult Mediterranean Gull. CLONEA STRAND: 4 Great Northern Divers at Ballyvoyle. 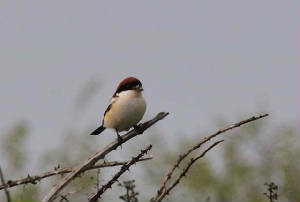 Nr BUNMAHON: Sedge Warbler singing (1st of year). 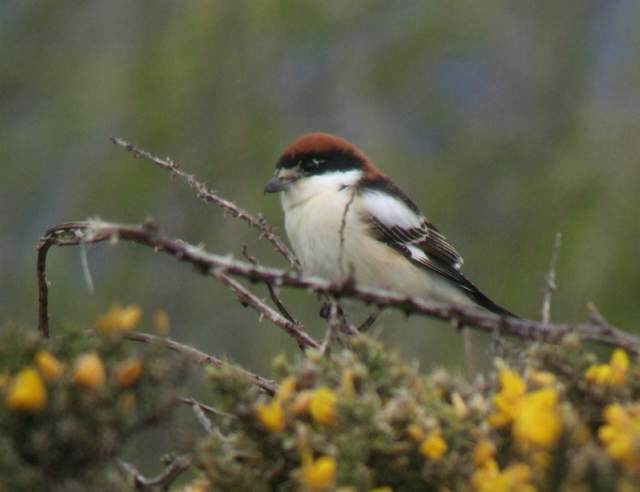 BROWNSTOWN HEAD: 3 Blackcaps, 4 Tree Sparrows & 3 Red Admirals. Nr YOUGHAL: 3rd-calendar-year Glaucous Gull. BROWNSTOWN HEAD: 3 Common Scoter on sea, 3 Whimbrel east. 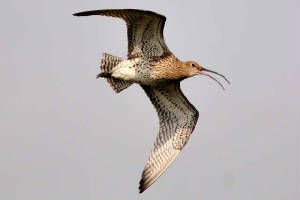 CLONEA STRAND: Whimbrel & 3 Great Northern Divers at Ballinclamper, Common Sandpiper at Ballyvoyle. 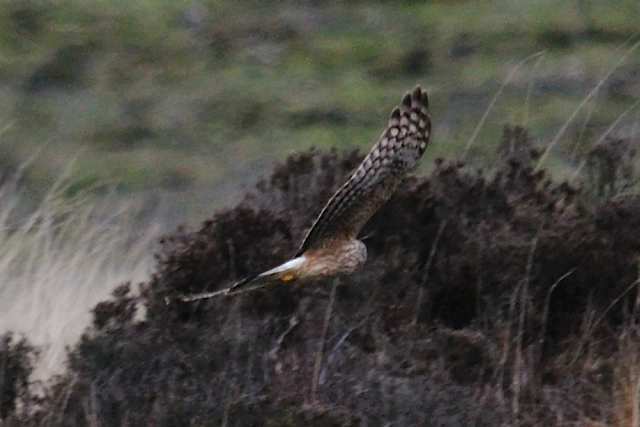 DRUM HILLS: Male Hen Harrier. 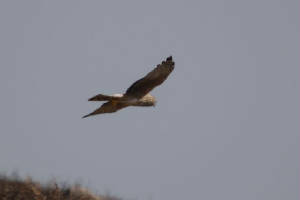 BLACKWATER / BRIDE VALLEY: Female Hen Harrier. 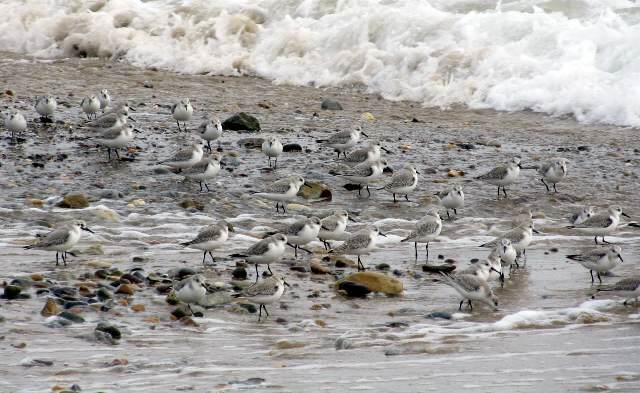 CLONEA STRAND: 8 Sandwich Terns at Ballinclamper. 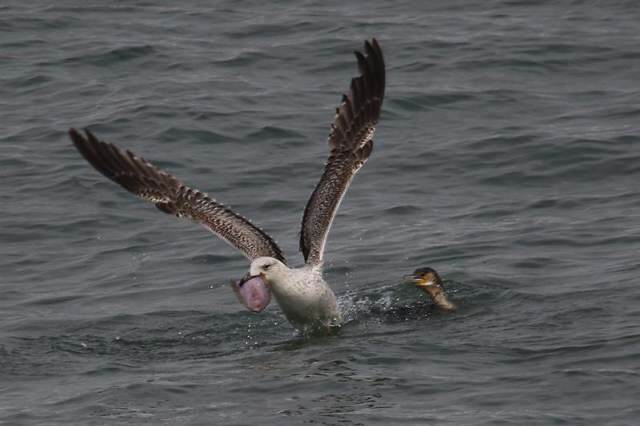 RINCREW: 3rd-calendar-yr Glaucous Gull, 2nd cy Iceland Gull & leucistic Herring Gull on Co Waterford side. BALLYDWAN COVE: 3 Great Northern & 3 Red-throated Divers. 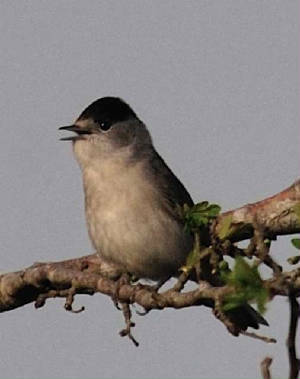 BALLYSHUNNOCK RESERVOIR: Blackcap & 4 Willow Warblers. TRAMORE BAY: 5 Gadwall & 20 Sandwich Terns. TRAMORE BACKSTRAND: Spotted Redshank & Whimbrel at Pickardstown; 5 White-fronted Geese & a Gadwall at Lisselan. 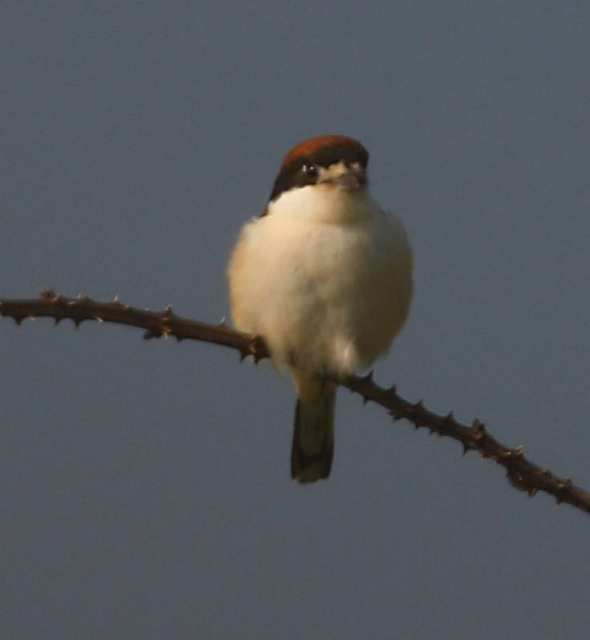 BROWNSTOWN HEAD: Blackcap, 2 Willow Warblers & 2 Tree Sparrows. 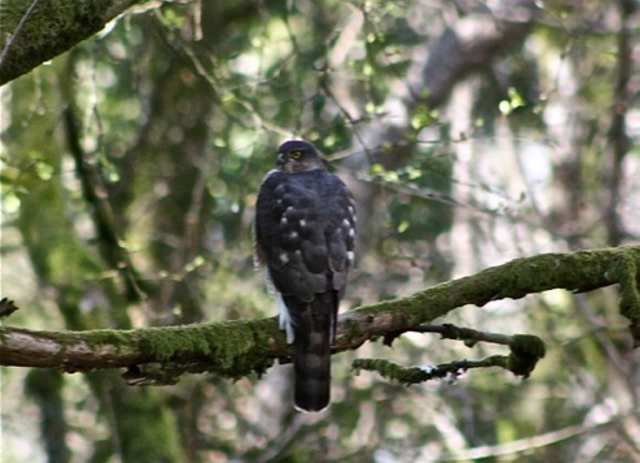 BELLE LAKE: ringtail Hen Harrier. 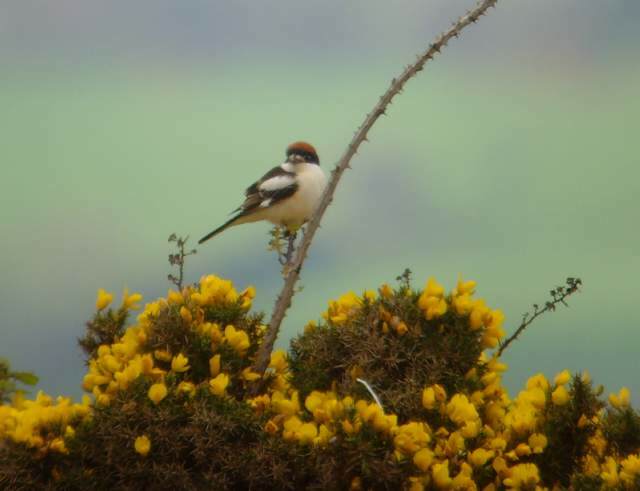 ANNESTOWN BOG (nr Dunhill): Female MARSH HARRIER (first county record since 1997), singing Blackcap & Willow Warbler, House Martin & 2 Orange-tip butterflies. 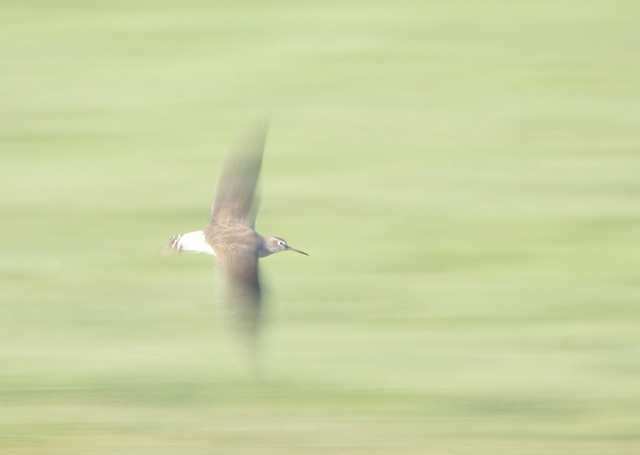 SEAFIELD (nr Bunmahon): Green Sandpiper. CLONEA STRAND: Black-throated Diver (first in several years), 18 Great Northern & 6 Red-throated Divers, 14 Tufted Duck & 2 Sandwich Terns west & 5 Whimbrel in off sea. 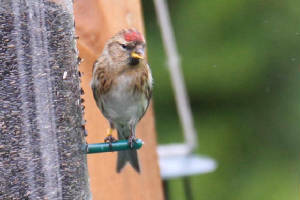 DUNGARVAN: Brambling at Strandside, Abbeyside; 3 House Martins, singing Blackcap & 2 Willow Warblers at Brickey canal. 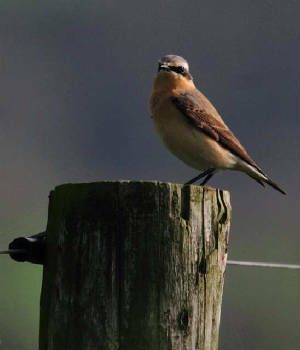 HELVICK HEAD: Male Wheatear & female/imm Black Redstart. 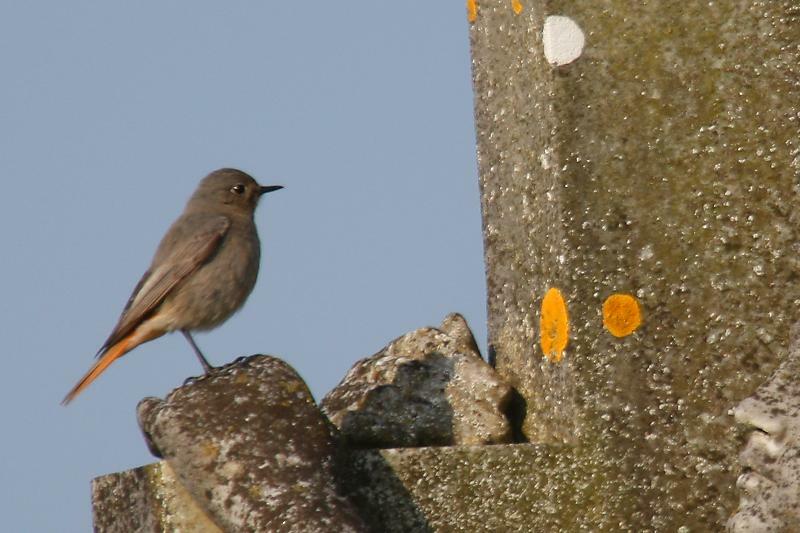 ARDMORE: 2 adult male Black Redstarts at Round Tower. 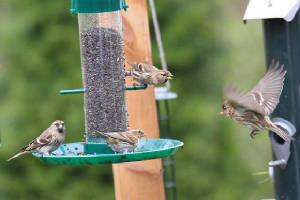 VARIOUS LOCATIONS: Swallows, Sand Martins & Chiffchaffs widespread. ARDMORE: Black Redstart at the Round Tower. HELVICK HEAD: Puffin & 22 Manx Shearwaters (seawatch 17:55-18:30). 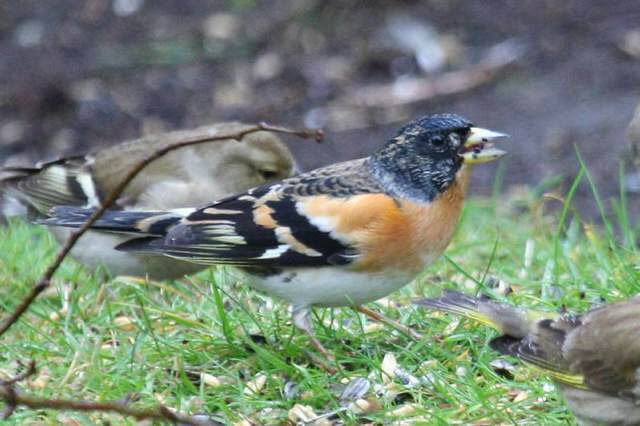 DUNGARVAN: Brambling at Strandside, Abbeyside; House Martin. DUNGARVAN: Great Skua & Sandwich Tern at the Cunnigar. 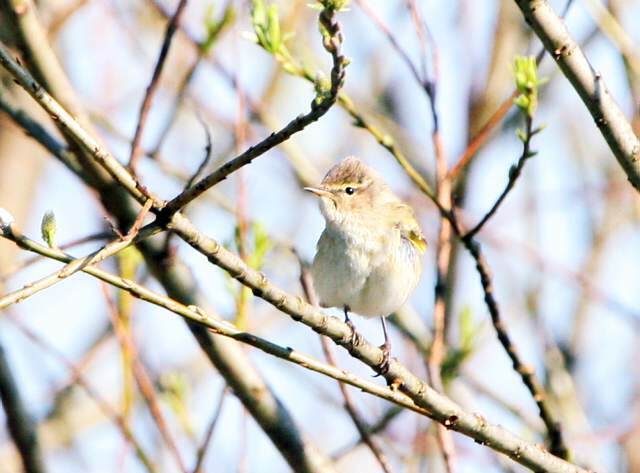 CARRICKAVRANTRY: 3 Willow Warblers & c12 Chiffchaffs. 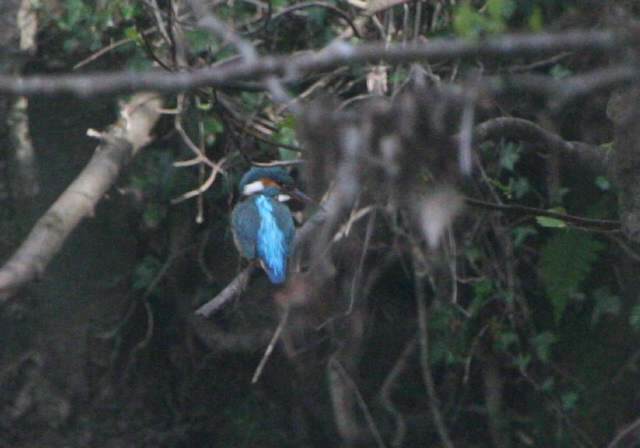 Nr BUNMAHON: 5 Kingfishers & 2 Treecreepers along River Mahon. WATERFORD CITY: Black Redstart in a city garden. 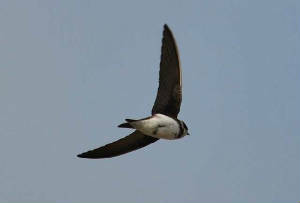 WHITING BAY: 4 Sand Martins. 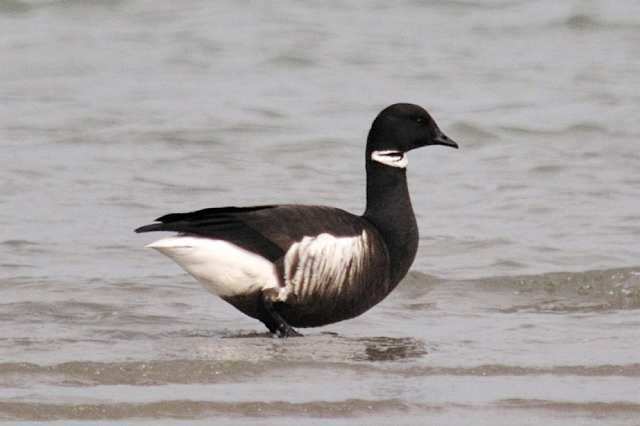 DUNGARVAN: Adult BLACK BRANT at the Cunnigar. 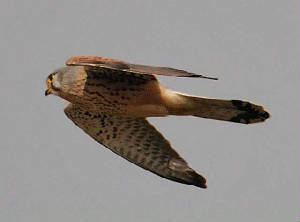 HELVICK HEAD: Swallow, Black Redstart, Wheatear, 2 Willow Warblers & an unidentified harrier species. 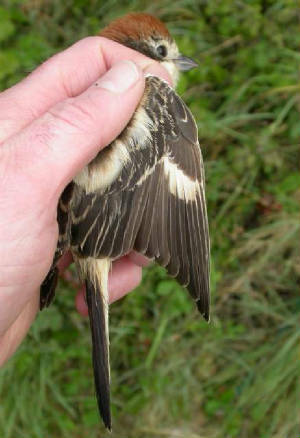 Nr BUNMAHON: 2 House Martins (1st of year) & 2 Treecreepers at Seafield. 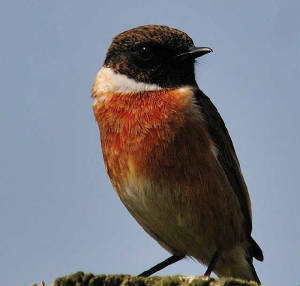 BROWNSTOWN HEAD: 2 Black Redstarts, 3 Wheatears, 7+ Tree Sparrows, 2 Willow Warblers & 6+ Chiffchaffs. 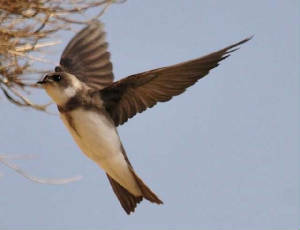 RATHMOYLAN COVE: 3 Sand Martins. 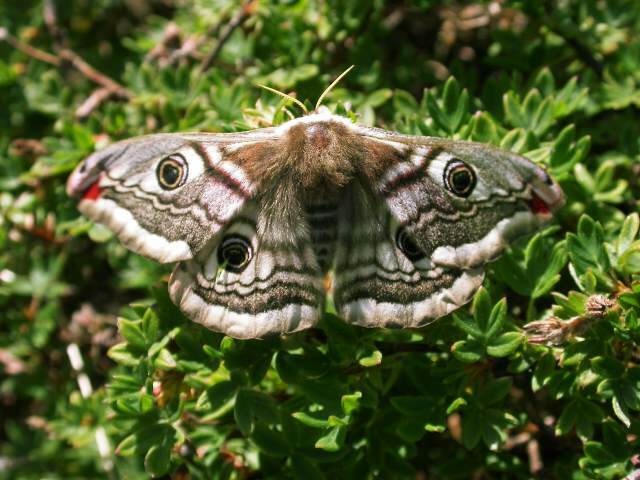 CALISO BAY: 5 Wheatears & a Peacock butterfly. 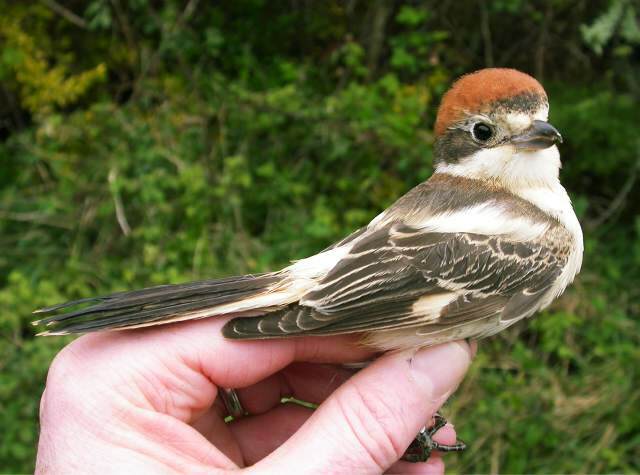 WHITING BAY: Willow Warbler nr Ballysallagh, 3 Sand Martins. ARDMORE: 4 Black Redstarts, 4 Sand Martins & a Merlin. BALLYMACART: 2 Black Redstarts & 3 Wheatears. 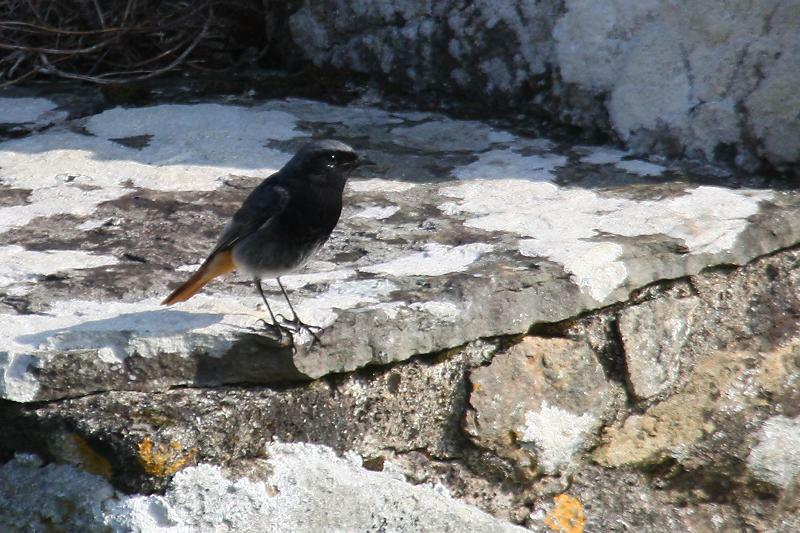 CLONEA STRAND: Black Redstart at Ballinclamper, Wheatear at Ballinard. 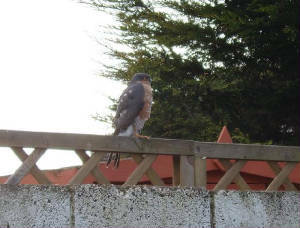 Nr BUNMAHON: Merlin at Seafield. 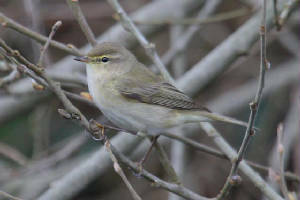 VARIOUS SITES: Chiffchaffs widespread today. 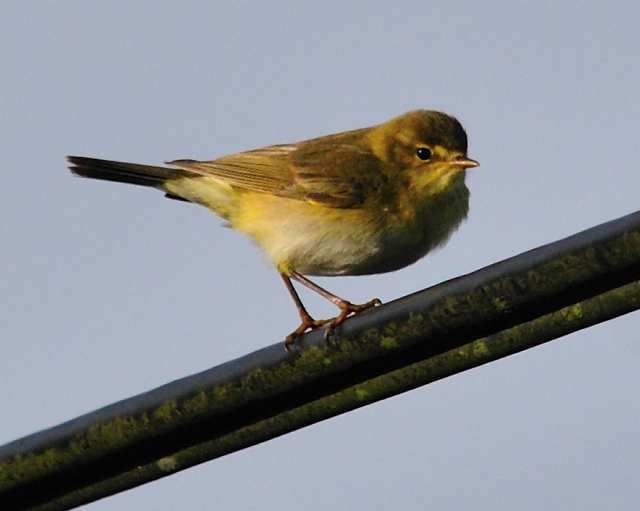 BUNMAHON: Willow Warbler (1st of year). TRAMORE BACKSTRAND: Chiffchaff & 2 Swallows. 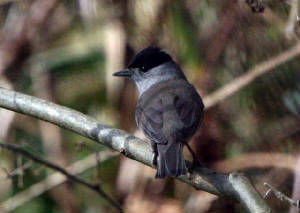 DUNGARVAN: Brambling & Blackcap at Strandside; Kingfisher, Dipper & 7+ Chiffchaffs at Brickey Canal; Sand Martin. 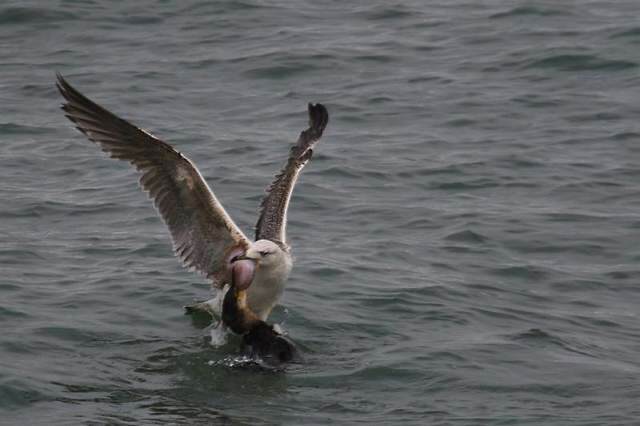 RAM HEAD: 33 Red-throated & 2 Great Northern Divers, 40 Common Dolphins, 7 Porpoises & a Basking Shark. HELVICK HEAD: 12 Small Tortoiseshell & 2 Peacock butterflies. BALLINAMULT: 8 Green-veined White butterflies. Nr WATERFORD CITY: 2 Swallows opposite Whitfield Clinic, Cork Road. 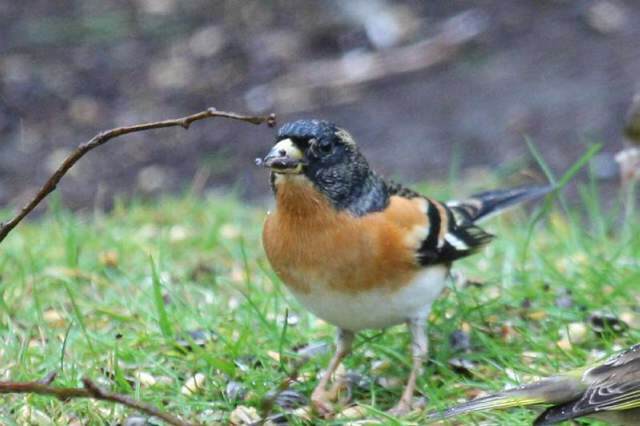 DUNGARVAN: Male Brambling at Abbeyside. BALLYMACARBRY & BALLINAMULT: Small Tortoiseshell butterflies. Nr BUNMAHON: 3 Kingfishers on River Mahon, Common Sandpiper at Seafield. BUNMAHON: Common Sandpiper (1st of year), 2 Sand Martins & 3 Red-throated Divers. 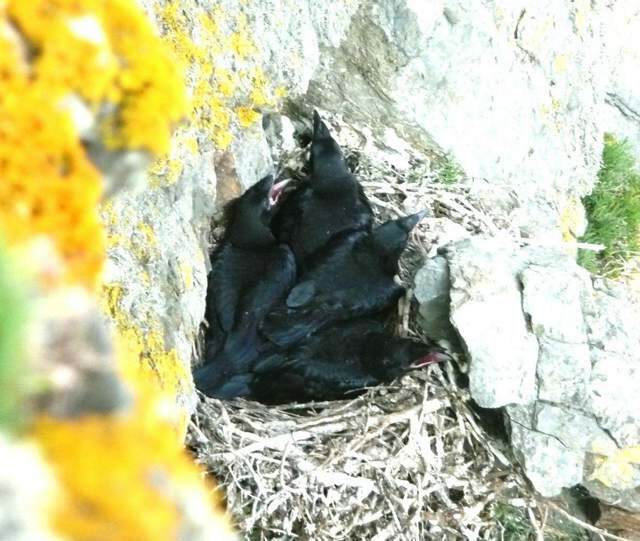 CLONEA STRAND: Scandinavian Rock Pipit & 15+ Choughs. 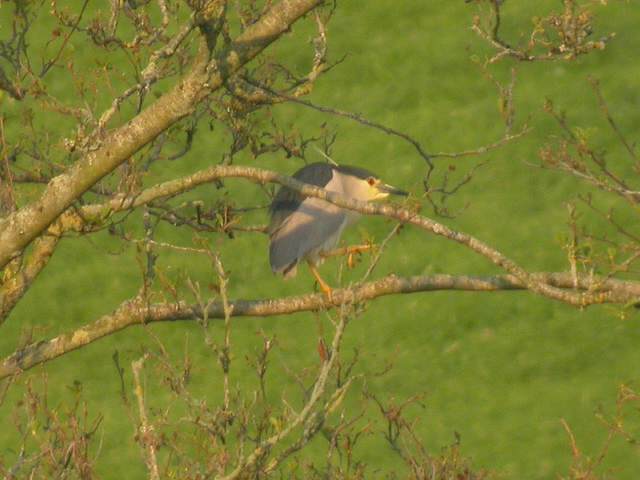 DUNGARVAN: Green Sandpiper, Merlin, Kingfisher & 2 Chiffchaffs at Brickey canal; male Brambling at Abbeyside. HELVICK HEAD: An early Puffin & Manx Shearwater west. ARDMORE BAY: 8 Red-throated Divers. COMERAGH MOUNTAINS: Dipper at Coumshingaun, Chiffchaff on way down. KNOCKMEALDOWN MOUNTAINS: Peacock butterfly at Knockadav. 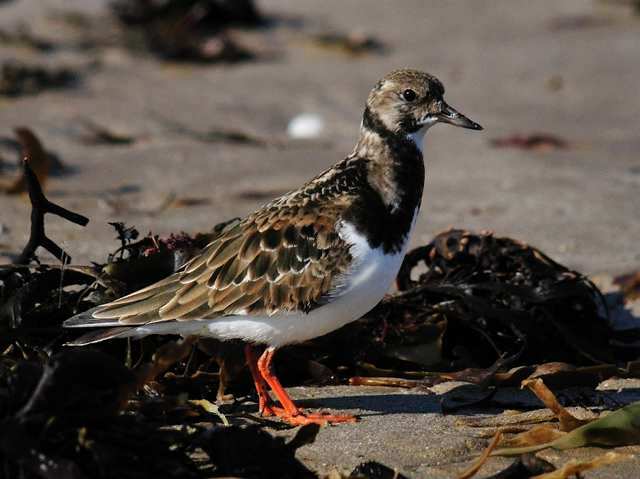 TRAMORE BACKSTRAND: Spotted Redshank at Pickardstown in main channel, 4 White-fronted Geese at Lisselan. CLONEA STRAND: Male Common Scoter. BALLINARD: 15 Whimbrel (1st obvious arrival of year) & 3 Sandwich Terns. DUNGARVAN: 2 Chiffchaffs, 2 Water Rails & 2 Kingfishers at Brickey canal. ARDMORE BAY: 18 Red-throated & 2 Great Northern Divers. RAM HEAD: Manx Shearwater west (1st of year). 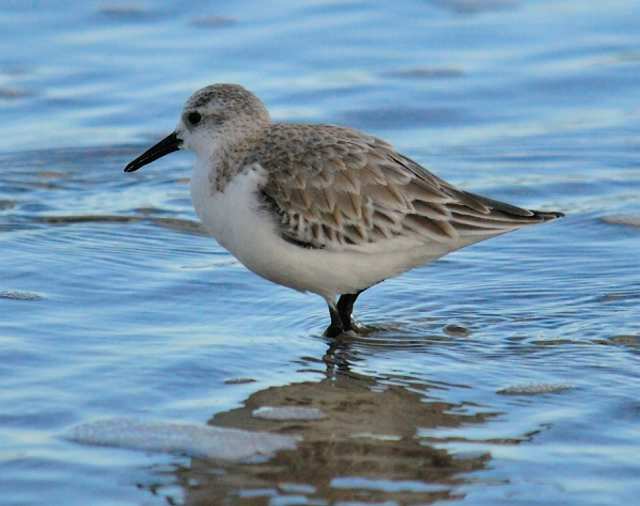 WHITING BAY: 2 Shoveler (flew east), 2 Great Northern Divers & 105 Sanderling. 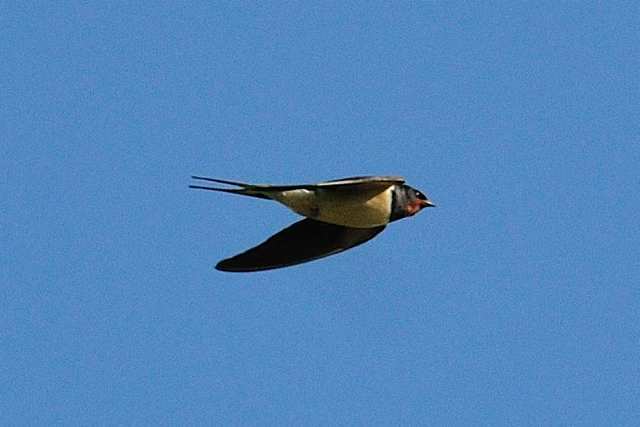 KILMEADEN: Swallow (1st of year). Nr BUNMAHON: Chiffchaff (probably 1st migrant individual of the year) & Green Sandpiper at Seafield. 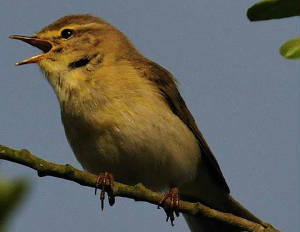 DUNGARVAN: Another Chiffchaff at the Brickey canal. 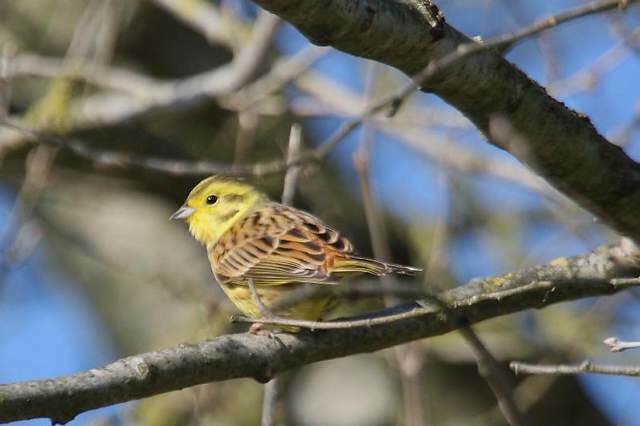 BLACKWATER VALLEY: High count of 39 Yellowhammers at Cappoquin, Common Seal on River Bride. 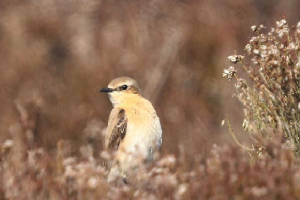 TRAMORE: Male Wheatear (1st of year) at the sandhills. 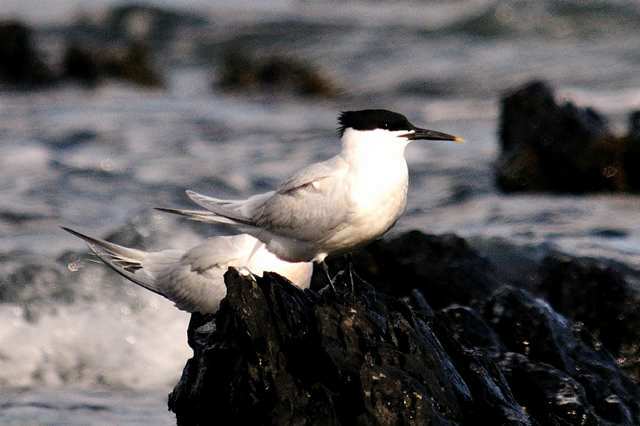 CLONEA STRAND / BALLYNACOURTY POINT: Sandwich Tern at Ballinard (1st of year). 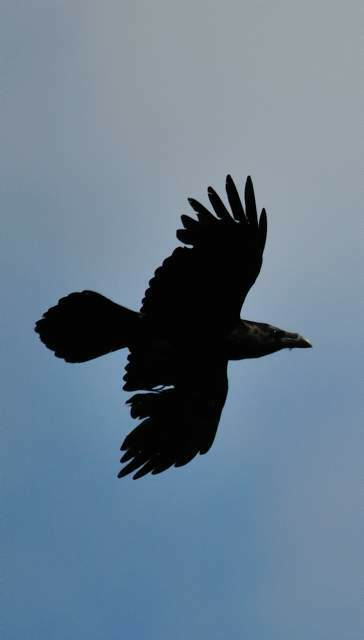 WEST WATERFORD: 2 male Hen Harriers & 12 Ravens. 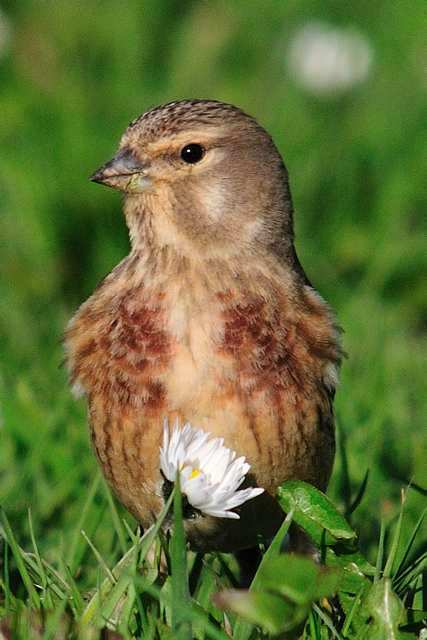 SEAFIELD (nr Bunmahon): 5-6 Yellowhammers & 20+ Reed Buntings. 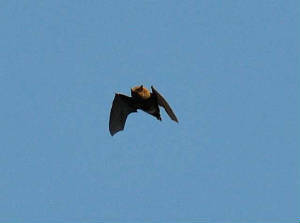 WHITING BAY: Sand Martin (1st of year), Kingfisher & 21 Choughs. 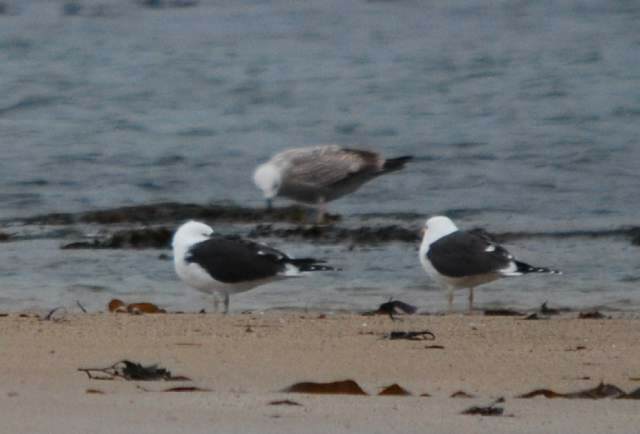 ARDMORE BEACH: Adult intermedius-race Lesser Black-backed Gull & 45 Brent Geese. 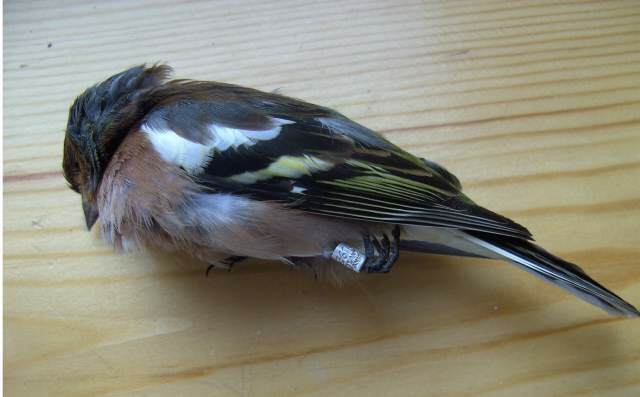 DUNGARVAN: Brambling at Strandside, 2 Kingfishers at Brickey canal. TRAMORE BACKSTRAND: 5 White-fronted Geese at Lisselan. YOUGHAL BRIDGE: Iceland Gull at Co Waterford side. 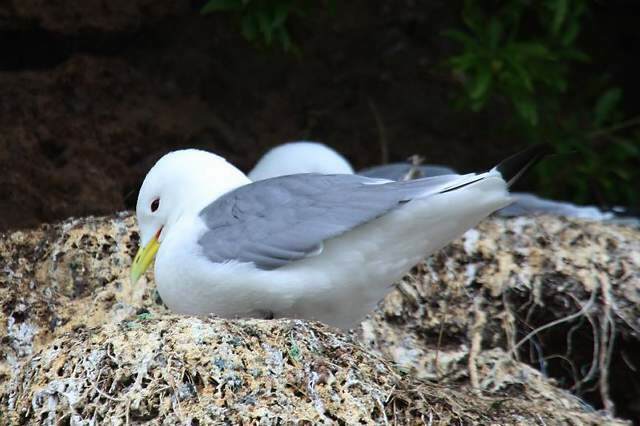 BALLYVOONEY: Glaucous Gull on Gull Island. WHITING BAY: 4 Common Scoter W, Shoveler on sea. 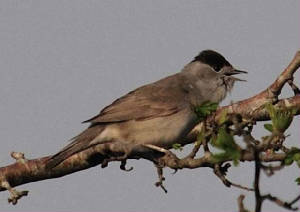 WATERFORD CITY: Female Blackcap at Morrison's Court. 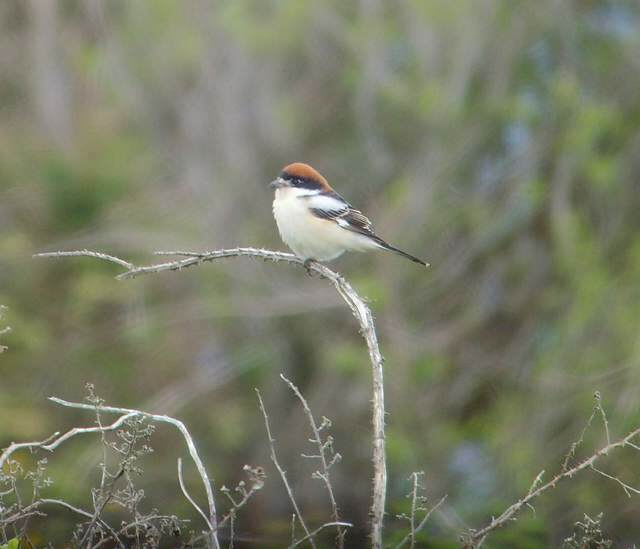 RAM HEAD: 13 Red-throated Divers, c120 Common Dolphins & an early Painted Lady butterfly. 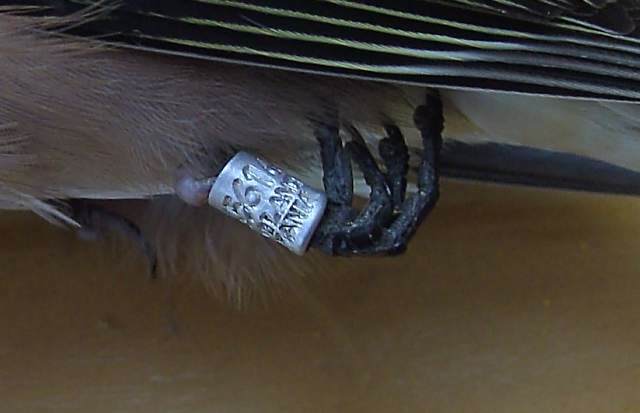 Details received 31/03/2011: bird was ringed as a 1st-year Chaffinch on 2 Oct 2007 on Helgoland island, Germany.